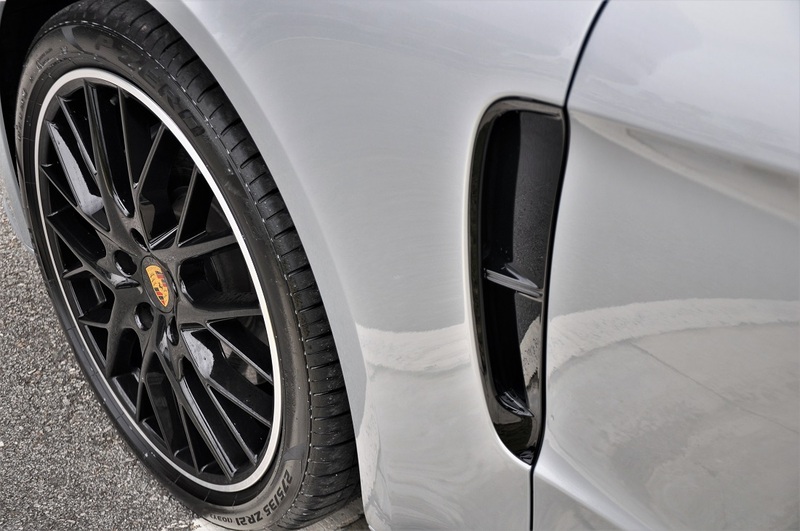 As humans, we are prone to prejudices. 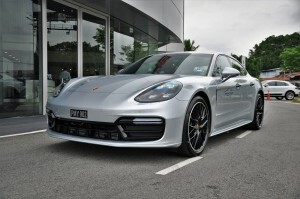 I am no exception to this fact because as I’ve said many times, in my head and out loud, that Porsches are mid-life-crisis cars. 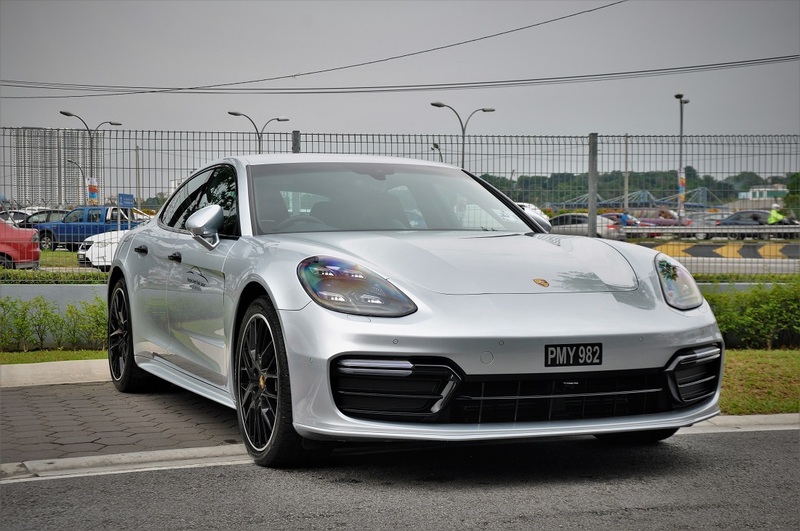 It could be because of the perception I have that either ‘mid-life’ is the time when someone can actually afford to own one or it’s the time when that someone needs an excuse to say “Been there, done that” (and that usually comes when they feel they’re not young anymore). 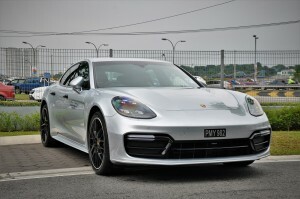 I’ve also publicly opined (not as public as right now) that I found the first generation Porsche Panamera rather dopey. 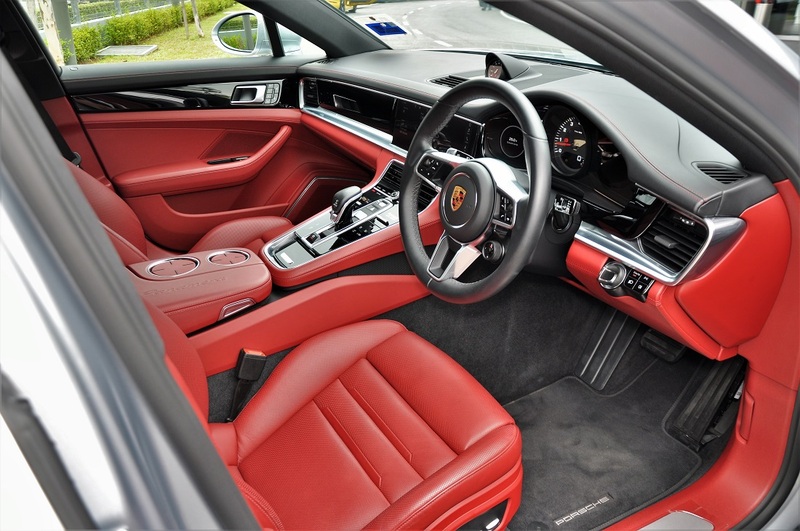 I don’t doubt the engineering that went into stretching out a 911-style body to accommodate 2 extra doors (and seats), and relocating the engine to the front, yet allowing it to still drive like a Porsche. 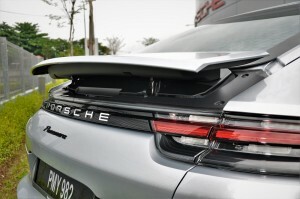 But it (especially its rump) didn’t endear itself much to me. 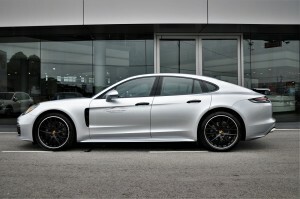 But my opinion is of the minority as the first generation Panamera sold well enough to warrant a next generation. 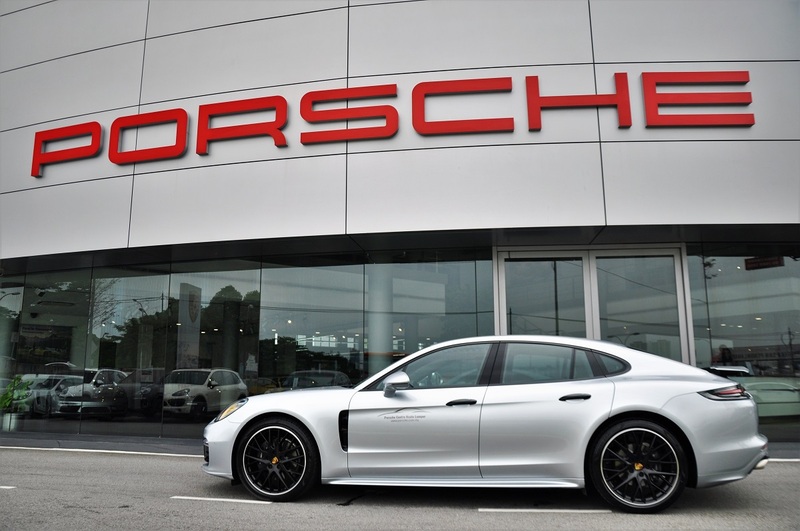 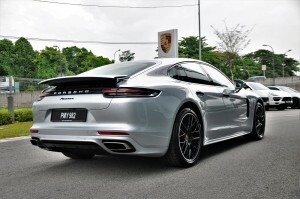 So when Sime Darby Auto Performance launched the second generation Porsche Panamera in Malaysia half a year ago, I found myself wondering if I’m going through a mid-life crisis. 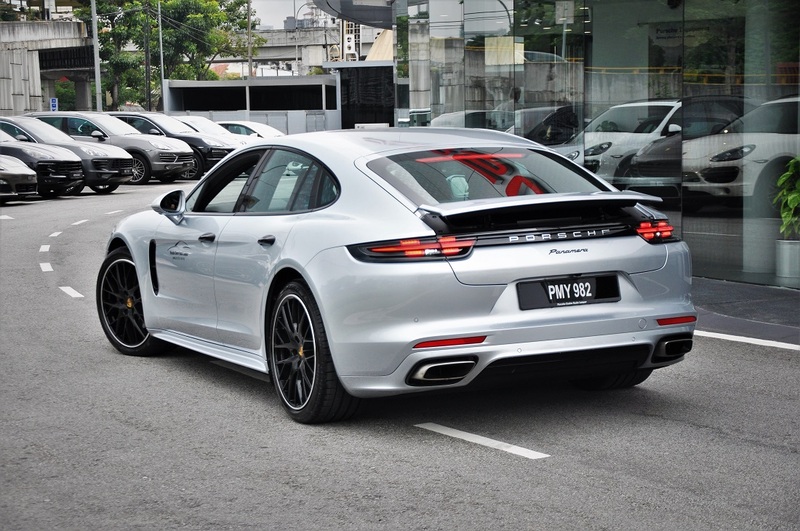 I actually found the car looking appealing. It’s now dope instead of dopey. Even though it retained the fundamental shape of the previous one, much has changed (my age included). And these changes, subtle and otherwise (but mostly the former), have a positive visual impact that put it in my good books. Firstly, it’s an all-new platform – the Volkswagen Group’s MSB front-engined, rear-wheel-drive platform. 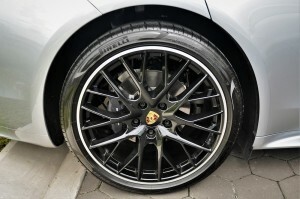 The new wheelbase is 30 mm longer so it allows for a bigger body. 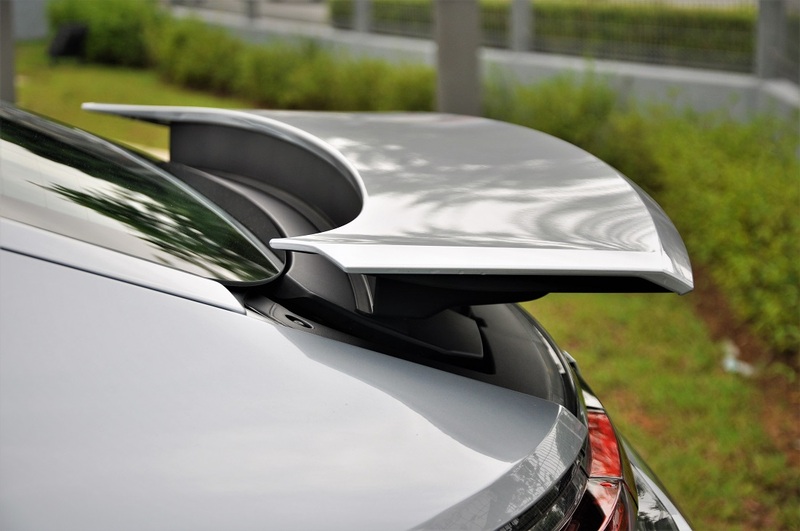 Physically, the body is 34 mm longer, 6 mm wider and 5 mm taller; but visually, it looks smaller and lower than its predecessor, and that’s due to the subtle changes like moving the base of the windscreen back a little and redefining the angle of the roofline down the rear (or flyline). 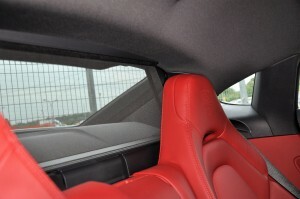 Despite losing about 20 mm off the roof’s height at the rear, the rear seats still fit tall adults with headroom to spare. 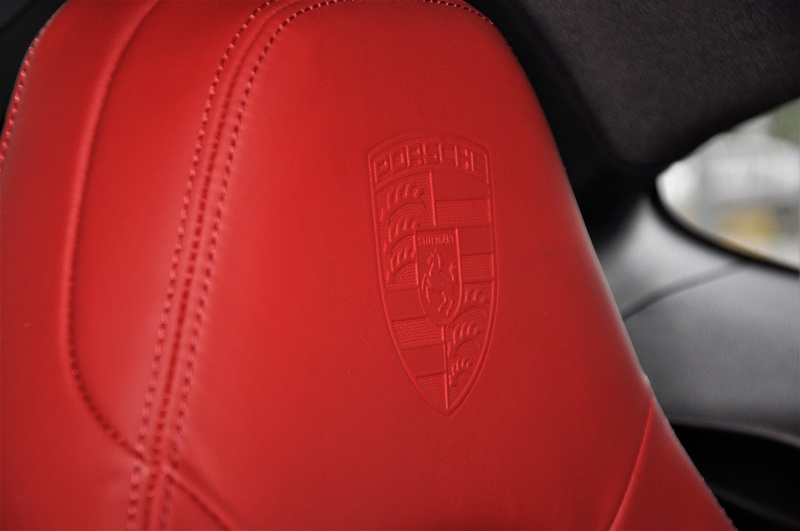 Cry as purists may about the sanctity of a 2-door Porsche being violated, we know well that a car with enough seats to include the kids or in-laws will augur well for many. 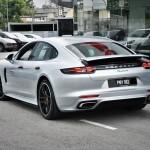 That itself is also the excuse, I mean reason, some use to push the case of buying a Porsche to the Home Minister – a posh car to ferry the family, and one to push around bends without the family. That’s as 2-in-1 as one can get. 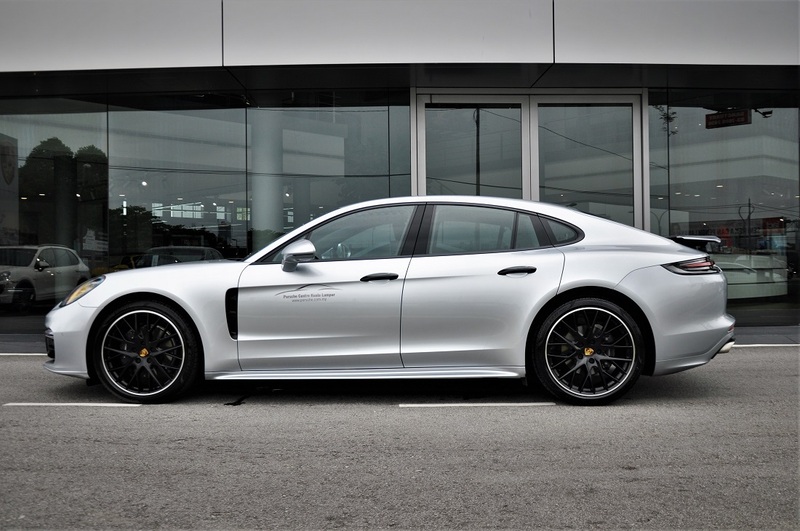 The Panamera only comes as a 2+2 seater although the Panamera Sport Turismo touring wagon does seat 5, but you’ll be missing out on the fancier looking rear climate, media and seat control panel, as well as the openly accessible cup holders and 12V port. 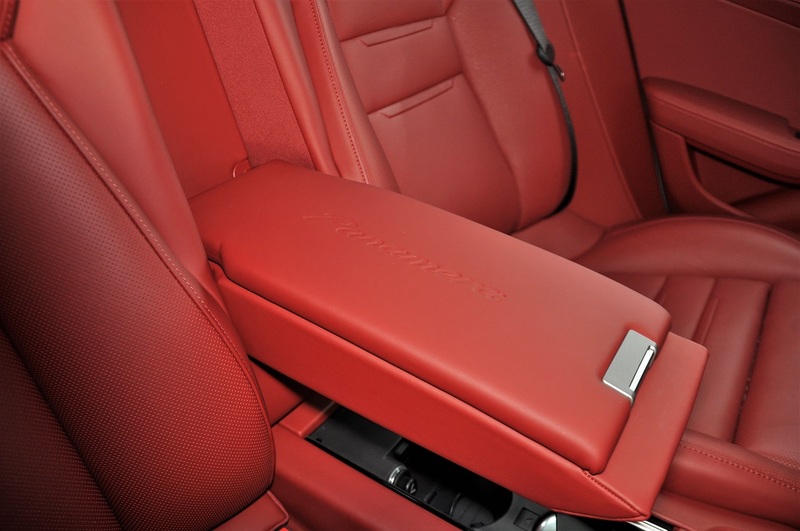 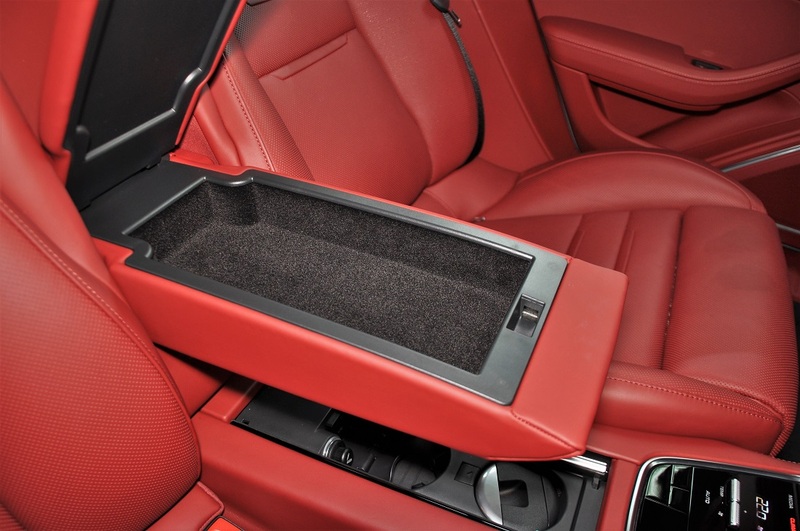 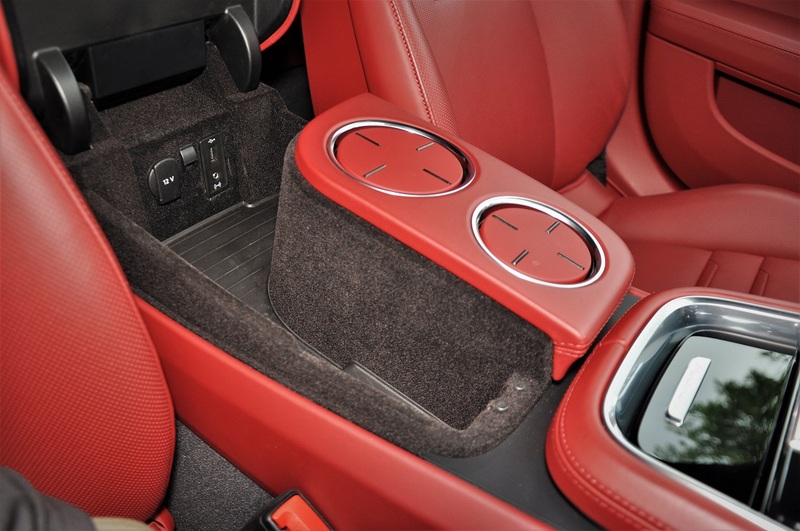 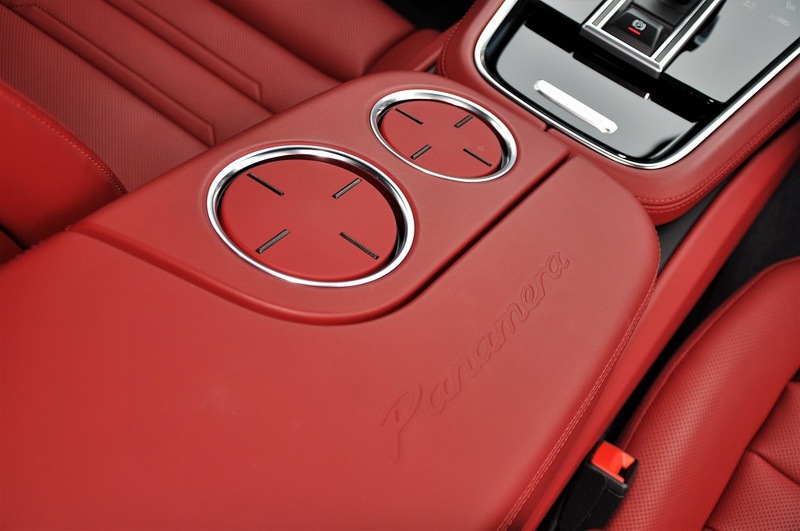 Other than the seat limitation, just about everything else is open to customization, whether it’s soft-closing doors, the type and color of your leather upholstery or massage seats. 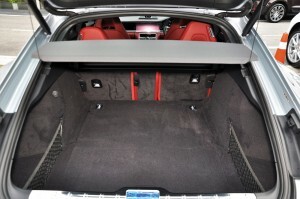 The Shiatsu massage feature was great on a long drive but not because the seat didn’t provide enough support; the front seat was actually very comfortable with a 14-way adjustment to really cradle your body. 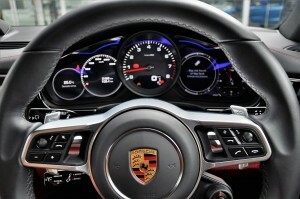 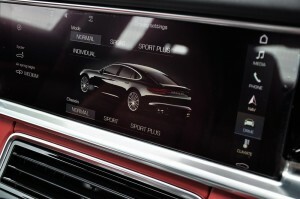 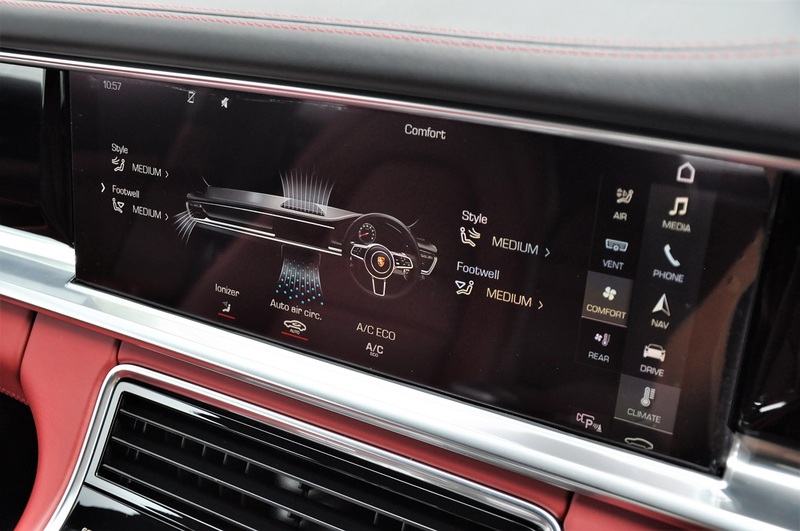 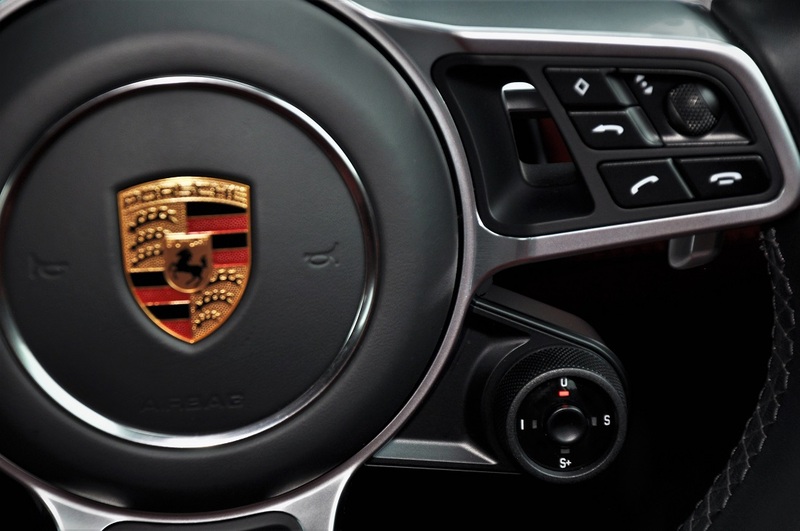 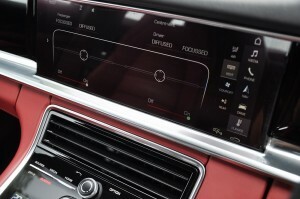 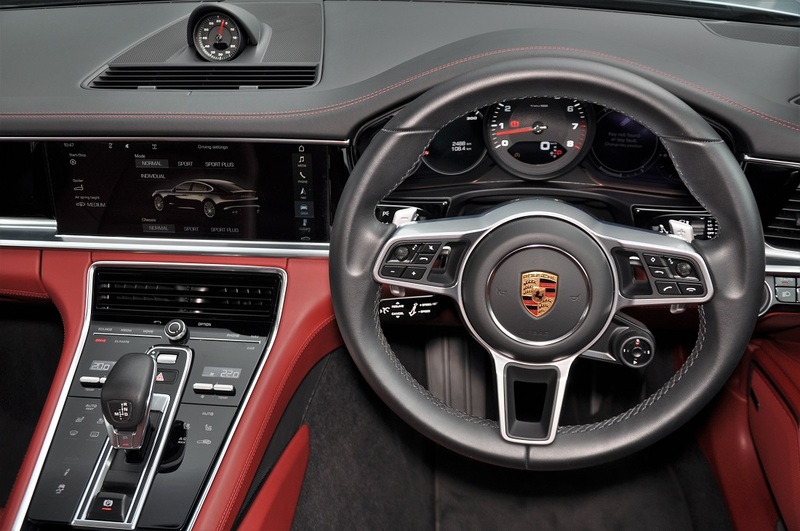 Compared to the previous Panamera which had a center console filled with buttons that makes it look like a plane’s cockpit and intimidate some, the new Panamera only sports physical buttons for the media and climate control, and the parking brake. 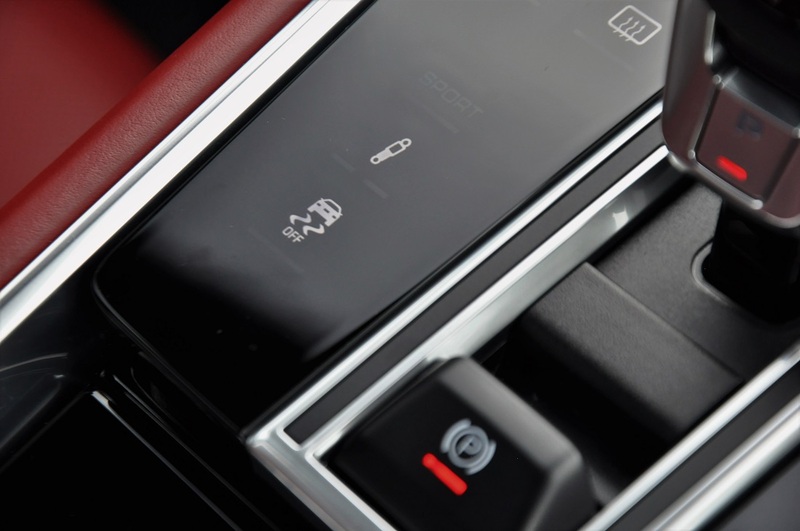 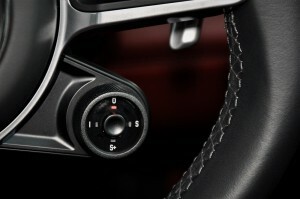 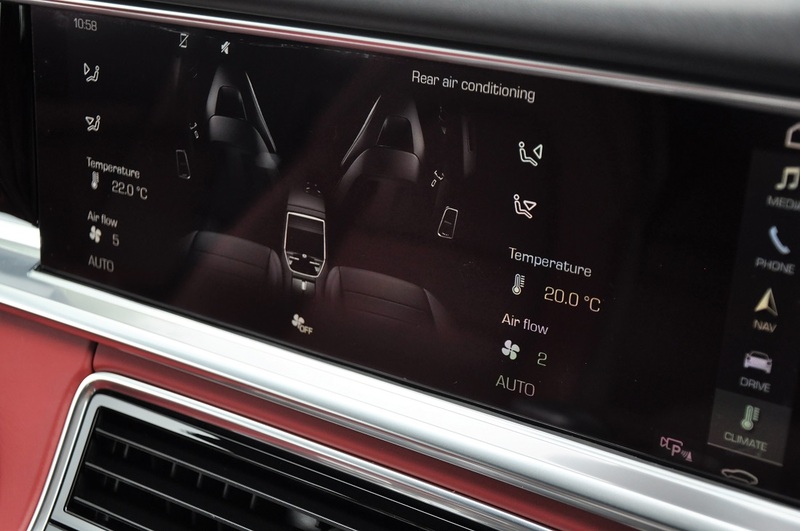 The rest of the controls for functions like changing the suspension setting or cooling your seat now rest in the Direct Touch Control capacitive touch panels sandwiching the gear lever. 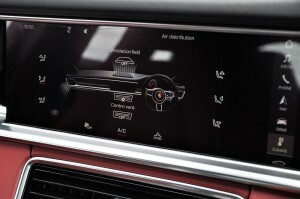 The other functions like massage, media, phone, chassis or drive settings, and even the rear spoiler activation, can be accessed via the large 12.3″ touchscreen on the dashboard; even adjusting the air vents requires some finger-sliding action on the touchscreen. 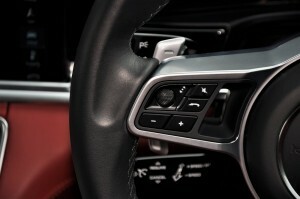 Some of these, like the drive settings, are also replicated on the steering-mounted buttons for quick access. 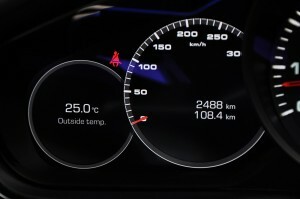 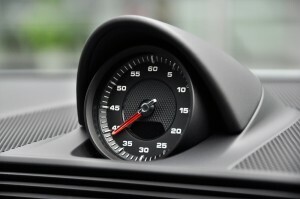 The instrument cluster has also gone digital save for the analog tachometer in the center; everything else like the speedometer, navigation, gauges and trip computer are found in the 2 7″ LCD screens flanking the tachometer. 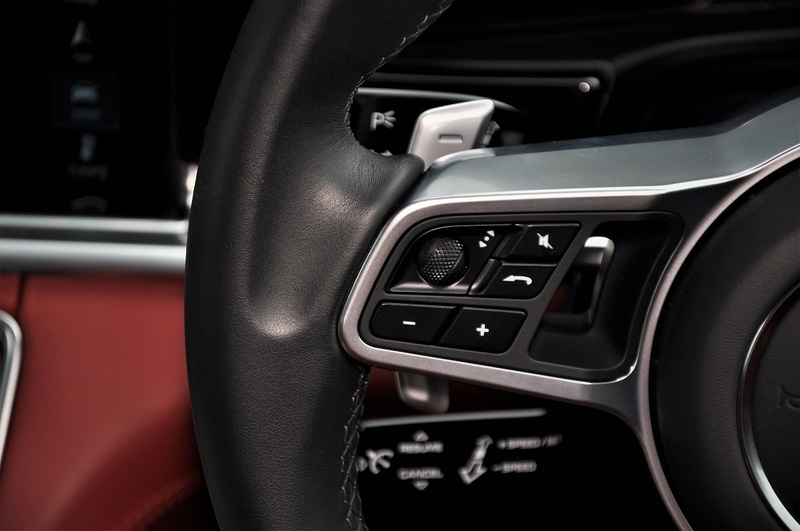 While some may prefer this neater look with the absence of most buttons and switches, I personally like the feel of physical buttons so I know what I’m (de)activating especially when I’m not driving slowly. But I suppose an owner who regularly uses his/her Panamera will be familiar with the controls’ locations compared to someone who took the car for a short-term test drive. 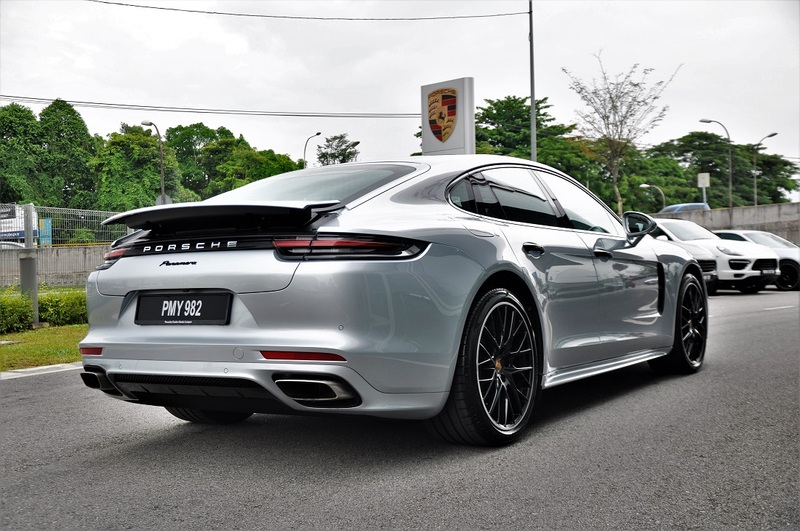 And speaking of ‘slow’, this Panamera only does 0 – 100 km/h in 5.5 seconds (with the Sport Chrono pack), courtesy of an improved 3.0L V6 engine with single turbocharger and new 8-speed PDK dual clutch transmission to send 330 hp and 450 Nm to the rear wheels. 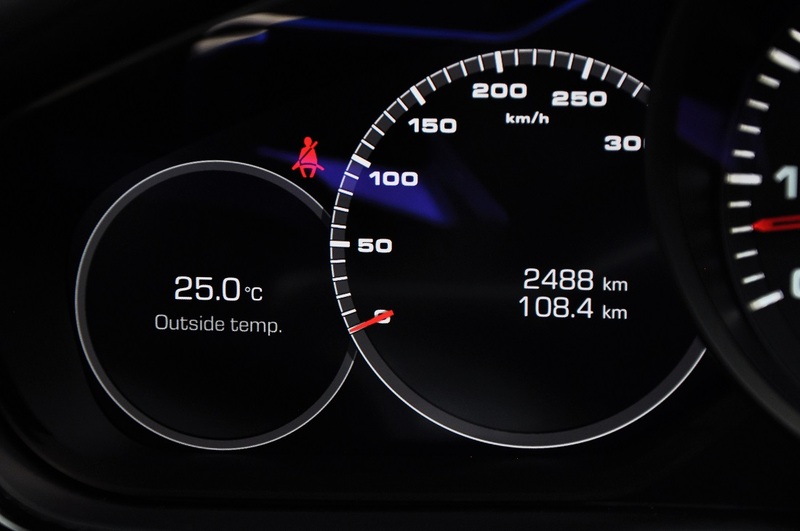 Despite this performance, it is still able to achieve an acceptable official average combined fuel consumption of 7.5 liters per 100 km. 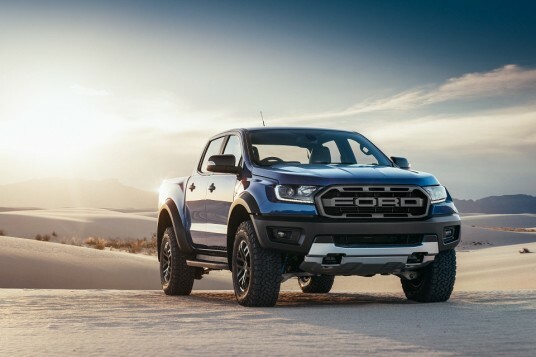 You can drive this sedately on the daily office commute, if you so wish; and it clears our consistently-designed speed humps just fine. 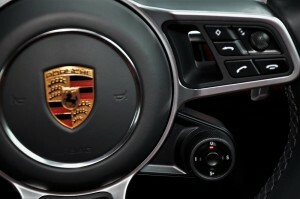 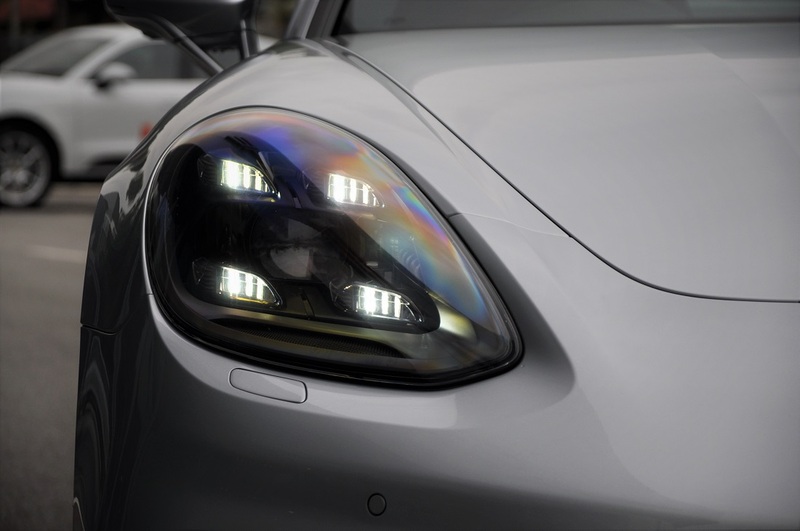 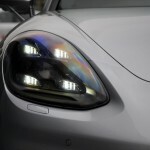 Driving dynamics is aided by Porsche’s new 4D Chassis Control. 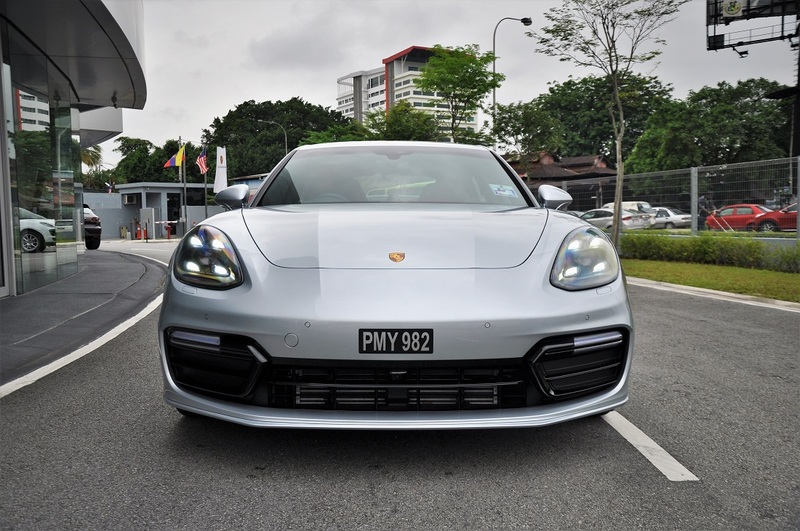 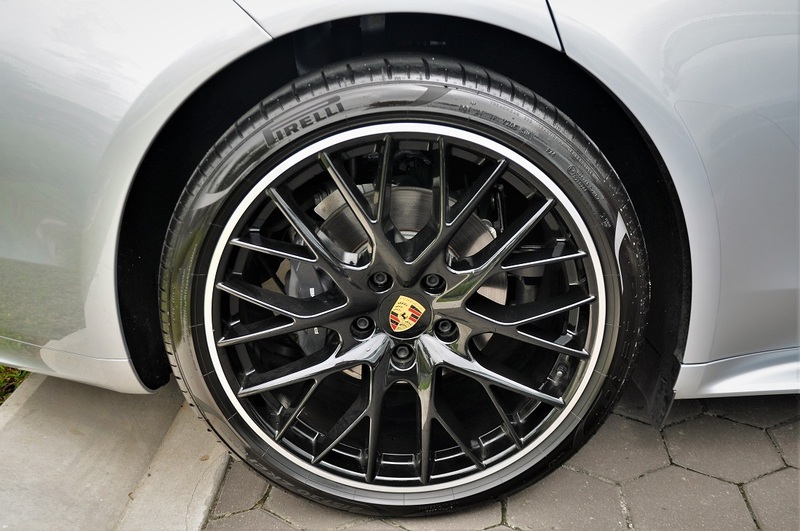 While the Porsche Active Suspension Management (PASM) is an existing system, the Porsche Dynamic Chassis Control Sport (PDCC Sport), 3-chamber adaptive air suspension with 60% more air volume, and rear axle steering are new additions and they make a difference. 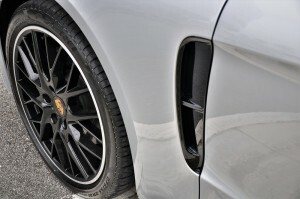 The car steers in well into tight bends thanks to the rear axle steering which turns the rear wheels in the opposite direction, and is kept flat with reduced body roll courtesy of the air suspension and chassis control systems. 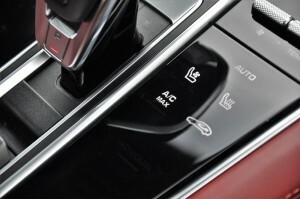 It’s great for the passengers too as the air suspension gives the ride a degree of calmness even as you’re being dynamic. The crisp, compliant feel of the car makes it very tempting to just keep on driving until you use up everything in the 90-liter fuel tank. It drives like its shorter Porsche siblings, and feels like it too, until you need to park. 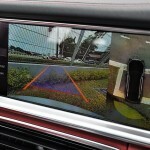 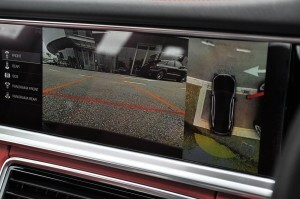 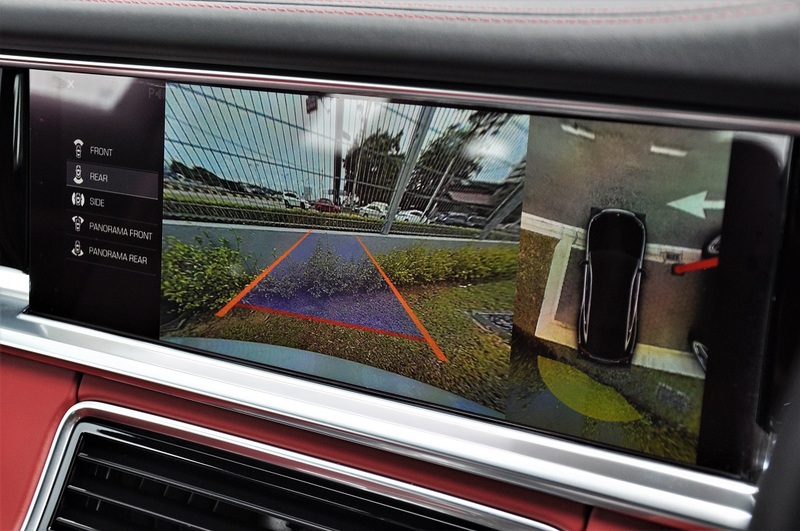 Thankfully, ParkAssist with reverse camera view is standard for Malaysia Panameras. 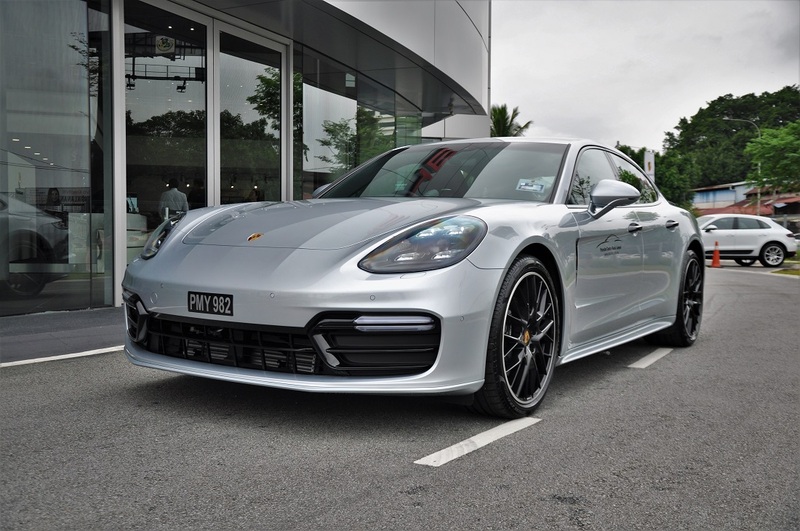 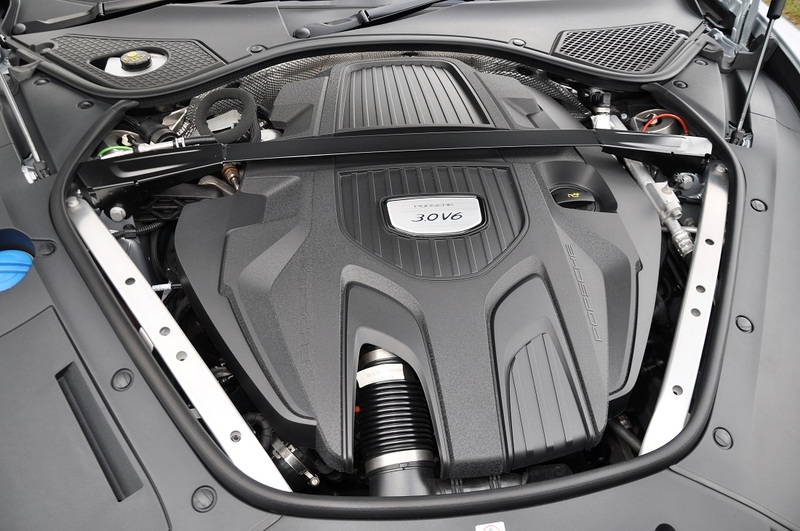 Some of the other features that come standard for Malaysia are Power Steering Plus, LED headlamps with Porsche Dynamic Light System Plus, front cup holder covers and fixed luggage compartment cover for the 495-liter boot. 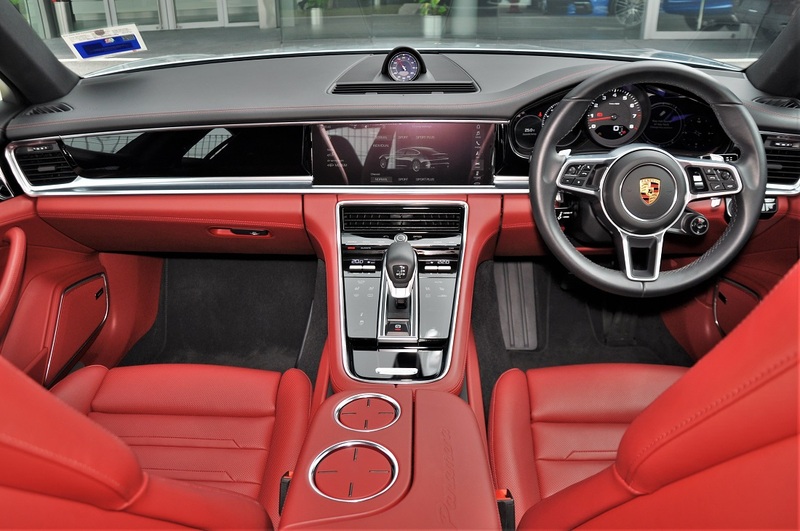 Other options you can pick include the 360° camera view, LED headlights with matrix beam, rear powered seats, 4-zone climate control, etc. 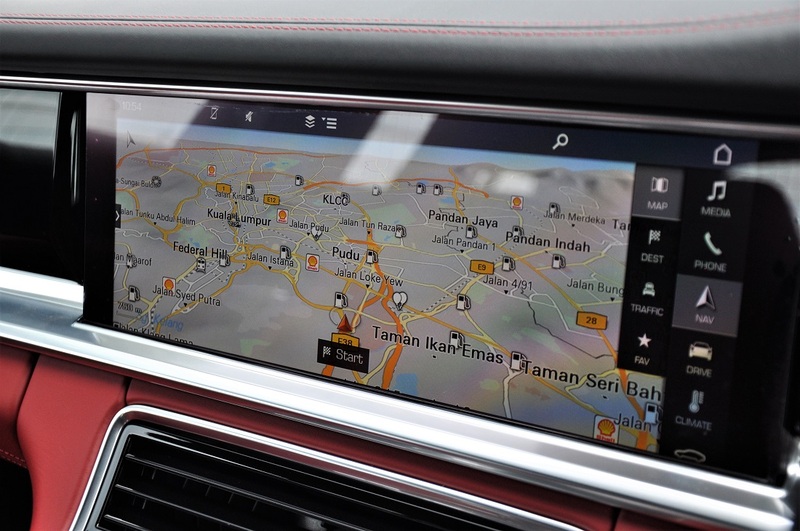 These were some of the options installed in the test unit which bumped its price to RM 1.06 million. 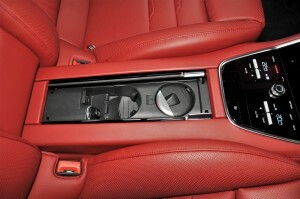 Included too is a 4-year warranty and 4-year/100,000 km free service and maintenance package.